3-Year Compliance Audit offers comprehensive review of all refrigeration safety requirements. Audits follow OSHA and EPA guidelines. Trained engineers will develop a report to identify areas of non-compliance and issue recommendations to bring your facility into full compliance with OSHA and EPA regulations. Completion of OSHA’s and EPA’s Compliance Audit forms. Walk through the facility looking for any safety/ non-compliance issues. Verify that your RMP Registration is up-to-date and accurate. Verify and document that all employees have access to and are allowed to participate in the development of the Process Safety Management program. Review and verify PSM Committee meeting records and meeting minutes. Review Process Safety Information (PSI) documentation for completeness. Verify and document that any required updates to the Process Hazard Analysis (PHA) have been completed and any recommendations from previous PHA’s have been resolved. Verify with Operators and Service Techs that Standard Operating Procedures (SOP’s) are being followed and that the required certifications have been completed. Review and verify that all Employee Training is completed and documented. Review Employee and Visitor awareness procedures and documentation. 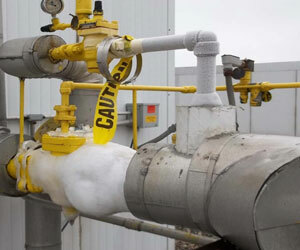 Verify that all contractor safety documentation for contractors that work on or near the ammonia refrigeration systems is complete. Review and verify Pre-Startup Safety review records. Verify that Mechanical Integrity (MI) inspection records are complete. Review and verify that the Hot Work permit program is being implemented. Review and verify that the Management of Change (MOC) records are complete and up-to-date. Verify and review Incident Investigation reports for completeness and verify that any report findings and recommendations have been resolved. Verify and document that the facilities Emergency Planning and Response program is up-to-date and evacuation drills are being held. Verify that Local Emergency Responders (HAZMAT Team) are familiar with the facility. Review and verify that External Events, Management Programs and Record Keeping sections have been updated if necessary. Upon Completion you will be provided a written report of the required Certification, finding, and recommendations, along with a copy of the Compliance Audit for your Records. No problem! Enter your e-mail address and we'll send you a new temporary password. You can then reset your password from your user dashboard.